Patios are the centerpiece to your outdoor living area. Any features or areas you ever dreamed about will start with a proper patio design. 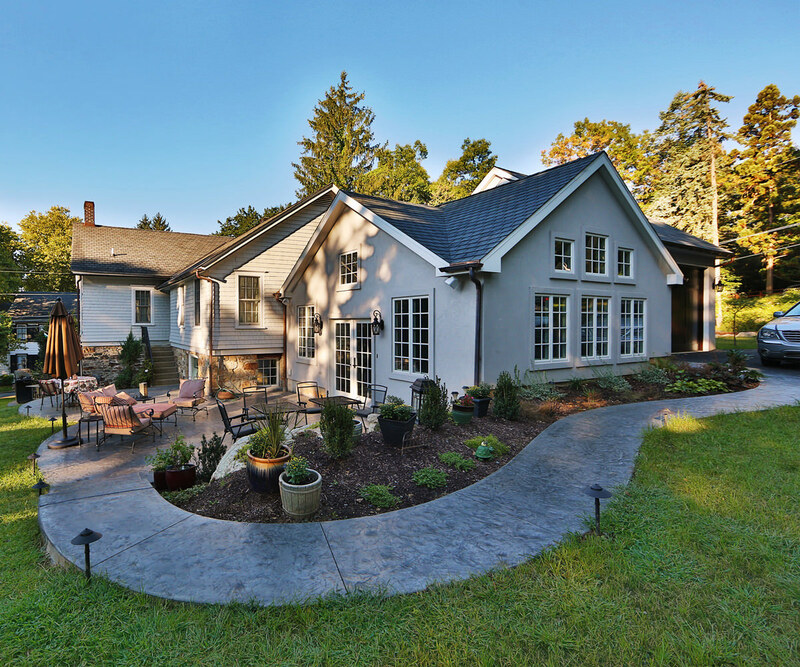 A well designed patio or outdoor living space will make the home more valuable and more marketable. Below is a quick insight of how much patios and a patio design with features costs. How a patio will be priced is mainly determined by four factors: the size, the material, the access, and the existing site. There are two main materials we use for patio and steps. 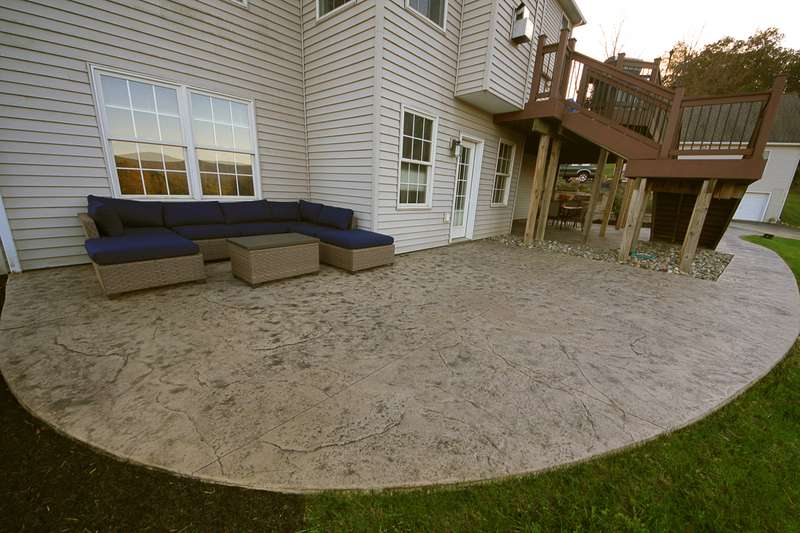 We construct patios using either decorative stamped concrete, pavers, or natural stone. Decorative concrete will be less expensive than pavers stone by a few dollars per square foot for both the patio and steps. Expect pavers to be about %20-%50 more depending on certain factors. 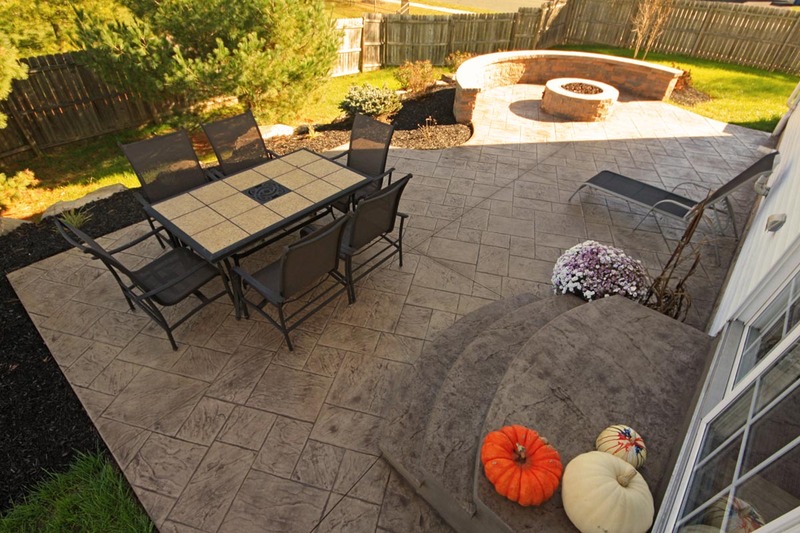 Most natural stone patios may be double the price of a stamped concrete patio. You would either determine a length and a width or you would calculate an amount of square feet. If you’re unsure about what size you want then a good square footage number on average is about half of what your house is. If you need steps then that has to be factored in as well. Smaller patios will typically have a minimal price while larger patios may get slightly cheaper for the more square footage that is being poured. 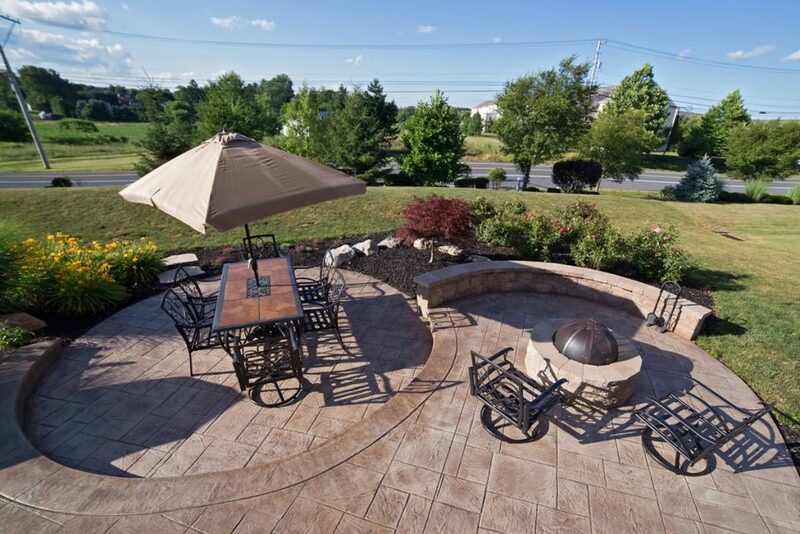 An average size patio for the average single family home in the Lehigh Valley is about 550 square feet. Access to the site is important because that will determine how long the job may take. Many newly constructed homes have the best access while older homes with large trees and a fence is something that may pose a problem. Difficult terrain, obstacles, and narrow areas that may make material getting to the site more difficult will require more time and effort thus reflecting in pricing. The final thing you need to consider is any existing structures or hardscaping that either needs to be removed or to be worked around. For instance, many clients call to have a deck removed to replace with a patio. In this case, most companies will charge a fee to remove the existing structure then we would price the installation of a patio as if there was nothing there. The size of the deck or patio being removed will determine the price to remove it. Finally, after deciding the size and material of the patio and what features you want to add then you may want to consider adding landscaping and lighting. By adding landscaping, you are simply finishing off the patio design. 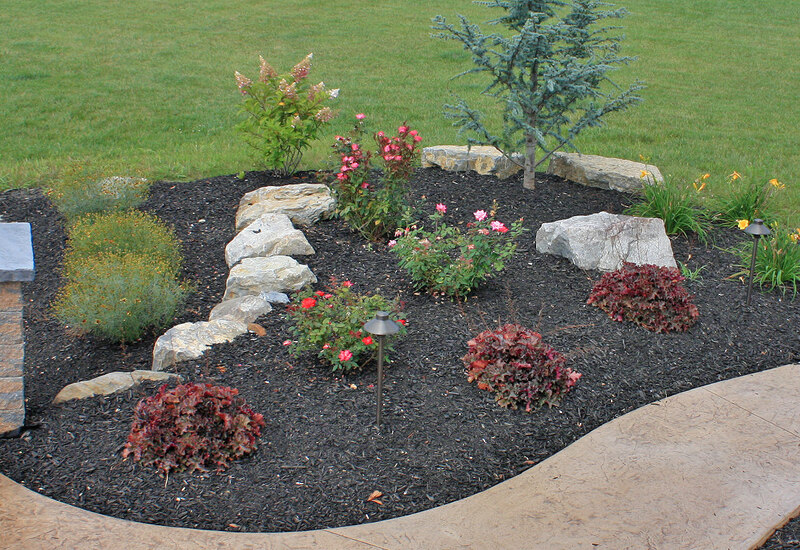 Stone or mulched beds with plants not only complete the design but add interest and color. Lighting can also be added within the landscaping or it can be installed into the hardscape. There are plenty of different areas that lights can be added. Many of our clients incorporate them into steps and walls.